The CV3615 is a small British klystron packaged in a glass tubular envelope with a 4 pin base. This tube can produce frequencies in in ranges between 500MHz and 3.5GHz, and can be electrically tuned within a 6MHz window. 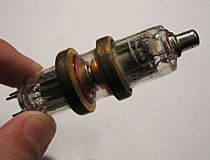 Unlike many larger klystrons, CV3615 tubes were designed to be used with an external cavity; a cylindrical brass and bakelite enclosure which would fit over the top of the tube and seal against the two brass rings in the tube envelope. The length of this cavity would set the 6MHz tuning window, a mechanical plunger attached to a rack and pinion assembly allowed the length of the cavity to be changed as needed. 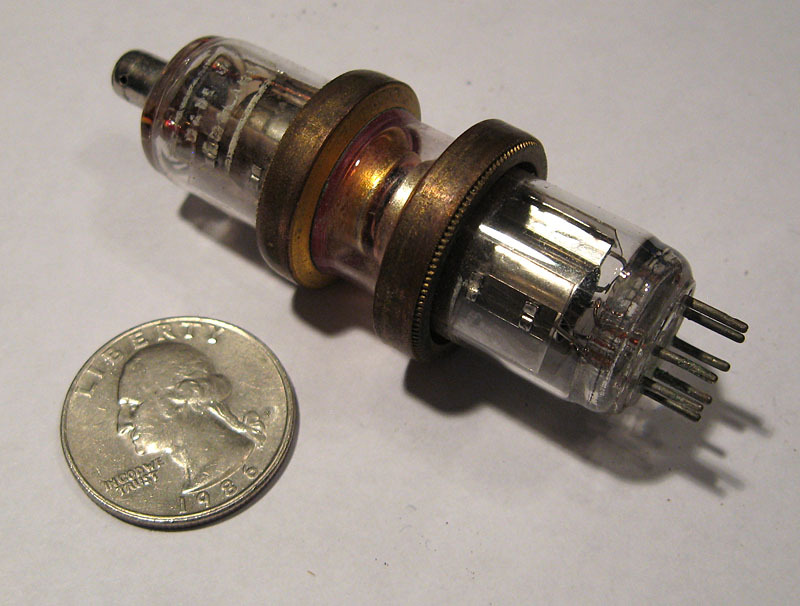 The CV3615 tube was first introduced in 1948. Of note to collectors is that some versions of this valve were packed in metal canisters, though later versions came in normal tube cartons. The CV3615 is designed to be used with an external cavity and as such is quite compact. 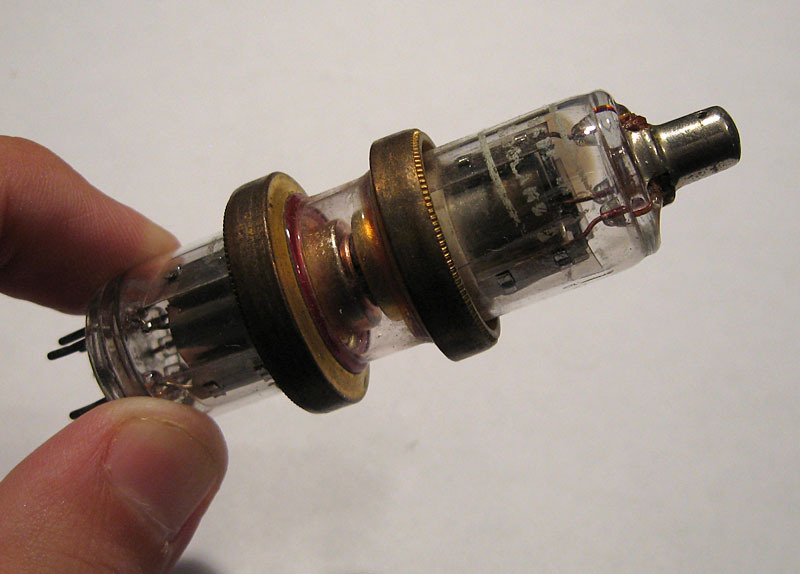 The socket for this tube is rather complex, since it has to incorporate an external cavity. 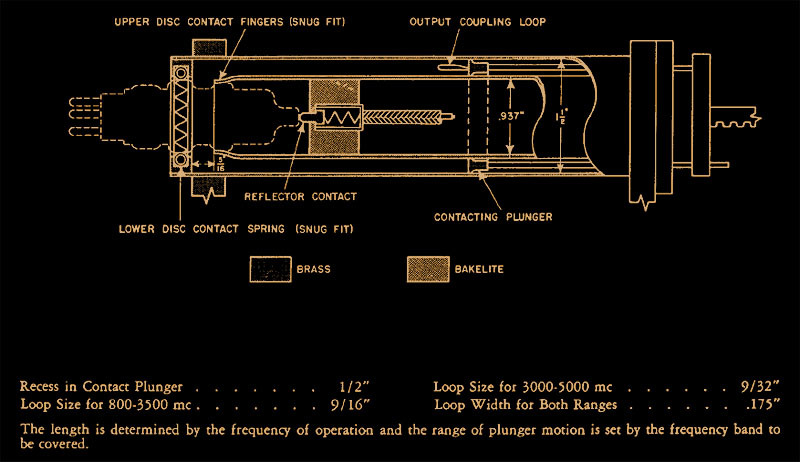 The frequency of the tube can be mechanically tuned by moving a plunger attached to the end of the cavity to change it's length.